For the entirety of my bicycle commuting life I've relative ease regarding the logistics of handling clothing. My personal preference is to ride in full kit and change into fresh clothing when arriving at the office, so, having a place to dry the clothes from the ride has always been a consideration. To date, I have enjoyed a large cubicle with high walls and a bookshelf/cabinet arrangement, as shown in the photo below. 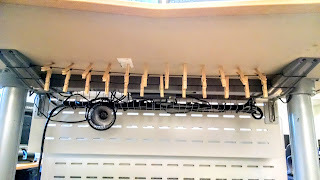 Repurposing the metal brackets normally used to hold up shelving, a simple clothes line arrangement emerges, made from small-gauge speaker wire and wooden clothespins. out of frame sits a desk fan, and voila! 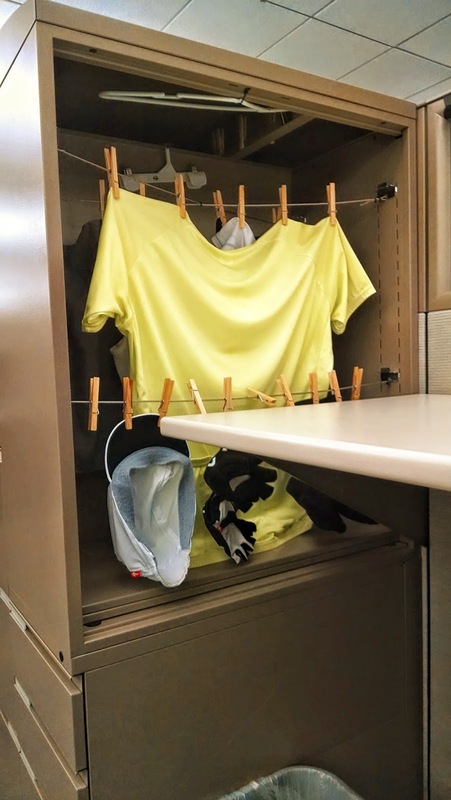 A self-contained closet for drying cycling layers. From the outside of the cubicle the contents are fully concealed, and since the office is well ventilated and low-humidity everything is usually dry within an hour of hanging, and then quickly put away for the ride home later in the day. Smells? Not likely - although, sometimes sweat stinks, it's usually when sweat-laden clothing is left to dry unventilated (put away wet) that the "funk" can arise. So, quickly washing things once they reach home in the evening, trying to tender one's efforts in the morning, and quickly getting clothes out of the bag and onto a clothesline after the morning ride is critical to avoid attracting the wrong kind of attention at work. For me, being able to fly under the radar is critical: I don't want to be the guy that smells, or the guy that has a bunch of smelly cycling gear strung across his desk. Due to a recent office remodel, however... this is becoming harder to avoid. The old set-up - a luxury, for sure. Contained, concealed, and comfortable. I miss it. A lot. I have to wear the full kit and dry things at work. I'm just too fast. Out of full visual context, it's difficult to envision what this shot represents; but, this is the underside of our new "wall-less" desks. They are height-adjustable (motorized), and pretty nice, honestly - but, there's literally nowhere to hang my clothes anymore - at least, not in a concealed fashion. 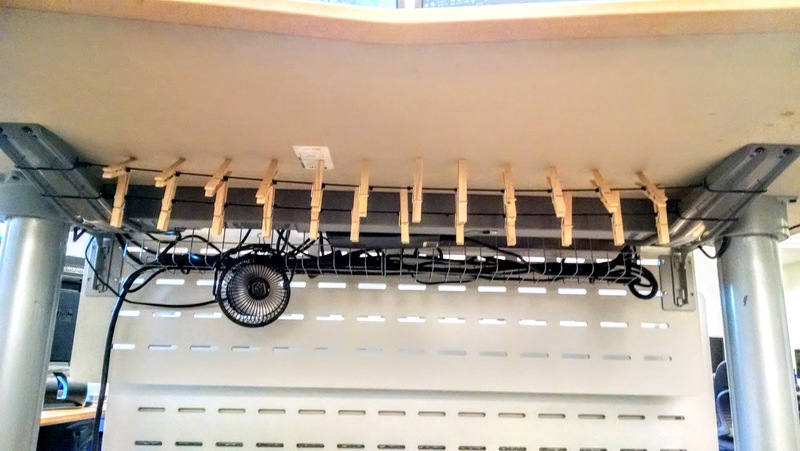 The simple clotheslines deployed between the desk's underside supports works - but, the fact that I'm hanging clothes underneath is impossible to hide. Now, in order to create a more open, collaborative, and energy-efficient workspace, the cubicles I've been using as a crutch for the majority of my riding-to-work life are gone. In their place are open desks with very little storage space; and, well, it's been difficult to establish a good routine. My neighbors - all non-cyclists - are really, really close by. One has already commented on the clothesline under my desk in a less-than-thrilled manner, and, well, that puts doubt into my head. Also in the entirety of my working life, I've only come across a small scattering of like-minded bicycle-to-work people. One, "Crowbar" is nearly as consistent as I am. The others - well, there's only perhaps three others in our building who sporadically ride to work. Across the office complex, I can imagine that number is about the same per-building; maybe 4-5 per building tops at any given time; and that's only during the peak riding months for our area, based on the seasons. For anyone to "understand" our situation is rare; so, I don't expect much understanding from building managers and co-workers. Surprisingly, however, the facilities managers have offered up a large, pretty much unused coat closet, which is a decent option... for me. If anyone else wanted to take advantage of it, it would start to get tight and crowded - but, it's better than nothing if someone really takes issue with my plan to continue hanging clothing under the desk. But, as I tend to do - I try to plan for every scenario, and often worry about scenarios that never present themselves. What comes naturally for minimizing risk tends to have me overthinking people's reactions before giving them a chance to react for real. So, having said that, I just need to start showing up at the office, early, and hanging up my clothes... and handling fallout if and when it happens. I already have a plan "B" and "C", but, I'd rather have my stuff nearby. The internet, thankfully, is loaded with ways to get around some of the challenges I'm facing with regards to riding to work. I've had to step out of the sunshine of my comfort zone and rethink some of the ways I've made a success out of bicycling to work. I don't plan to stop. It's a great opportunity to face the challenge and see how things shake out. Workplaces need to understand the needs of those who don't choose the easy route of automotive transportation, and - from an advocacy standpoint - it's each of our jobs to support what we believe in. 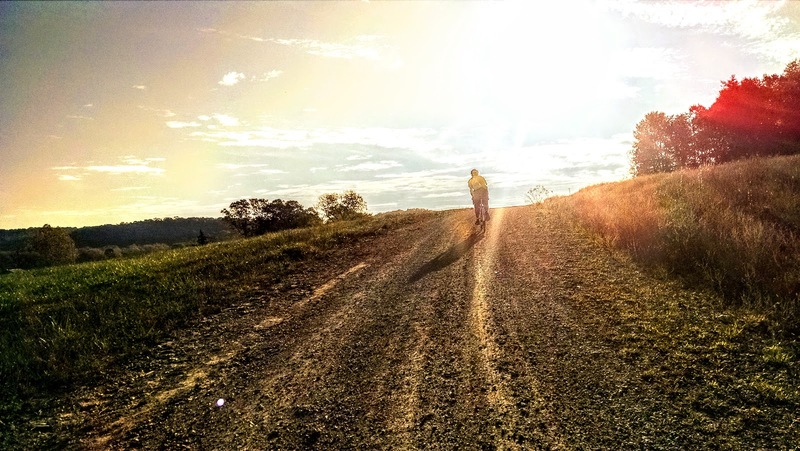 So, stay tuned... yes, this blog was founded on commuting to work by bicycle, and while the last several years have focused on randonneuring, this topic still deserves attention. I have a feeling that more of bicycling-to-work population has to deal with not-so-accommodating conditions, so, this just brings me in line with that majority. If I come up with any groundbreaking discoveries or insights, look for them in future posts. Until then... let's go ride; no matter the destination! It's been an interesting year... and a busy one, to boot. In fact, I think this is the whopping 8th post of the YEAR. That's... well... light. With my return to school and - well, all the RIDING - I haven't had much time for writing about cycling. I have just done some housecleaning on the site, however, so it at least appears that someone is minding the store. It was a little sad deleting some of the dead links from the sidebar, and nice to see that some things never change. I've updated the parts and shops area, and added some new notables: namely Dill Pickle Gear, which makes some great bags... and while I don't own one yet, I had the pleasure of meeting the owner/creator/maker on a ride this year, so I had to put up the link. She's good people, these are amazing bags, and there you have it. Check it out. I also added links to Chain-L, which I've been using for a few years now with great results - both on and off pavement. Finally, added in the link to Specialized tires, which have been underneath me for a lot of miles the last few years with terrific results. I really hope they stick to the formula, because it's been working for me really well. Lastly, I updated the rando-tales links list... mainly the archive list... with the latest ride reports, which admittedly aren't extensive because of the aforementioned lack of time. I will say this. Only a few credit hours away from actually holding a legit college degree feels REALLY freaking good. It's only the first step in a couple more years of hard work, but, a worthy challenge. It's a lot like a brevet... just an especially long one. Once I'm finished writing seemingly endless research papers and such, I really don't see this blog going bye-bye. In this day and age, really, it's becoming a little rare... yeah, probably because "nobody blogs anymore" and social media has completely absorbed all content and everyone has assimilated to short-attention-span-theater and YouTube.. .but hey, I'm still here. I write. I like it. I like the process. We're here, and we're stayin'. Oh, speaking of YouTube - as I blow my own business case out of the water - check out the Global Cycling Network. If cycling was "cool enough" to have an actual TV show or something on Netflix, this would be it. I, honestly and truly, REALLY hope these guys go big and actually end up on Amazon or Netflix or Hulu. It's THAT well done, very well produced, thought out, written, and edited. This is one YouTube web-hole you need to fall into this "off season". Cycling news, how-tos, even stuff on long-distance, racing, climbing, tech reviews, training videos to help pass long hours on the trainer... it's all here. I'm not affiliated with GCN in any way, I just stumbled onto it earlier this year. They just crossed 1 million subscribers, so it's really becoming a "thing". Really, it represents the best of what YouTube can and should be for all avenues of interest .. and for us cyclists, it's a big win. Treasure it! Okay... The National Bike Challenge. So, that (apparently) was exactly the shot in the arm I needed. Back in April, sorta languishing on commutes to work and such, I stumbled into the National Bike Challenge, updated my Strava profile. Yeah, about Strava. You're reading this site, after all, so you might already have your own opinions about what the site is and what it represents. It's "too competitive", it's "full or racers", "everyone cheats"; I've read and heard the criticisms, too. But, I will say this: just try it for yourself. Not only is it a great way to see what your friends are going and might give you some good ideas on routes you might not have considered - but, if you are tired of being stuck in the same old average speed category, you can use Strava's unique bit of segment-based competition to your own advantage. Now, it's abundantly clear: I'm not going to post any KOM conquests anytime soon, BUT, if your goal it to simply become faster than YOU, Strava is a terrific motivator. Strava will track your personal progress across various segments and you can spend some quality time on your next commute or training ride and try to best yourself. It's that simple - if you want to get faster for your own goals -- not just for the sake of numbers -- then Strava is a terrific way to make it happen. 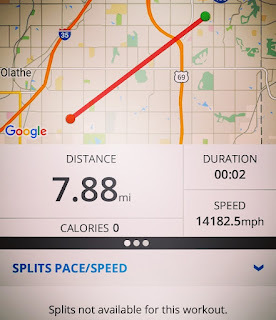 The age-old disclaimer: *I* am not what I would consider to be "fast"; BUT, after a summer of using Strava to track my commutes and brevets for the National Bike Challenge, I am faster than I was in April. That should be the only real goal - be better than we were yesterday. Back to focus on the National Bike Challenge, I don't think anything has motivated me quite like this for several years now. 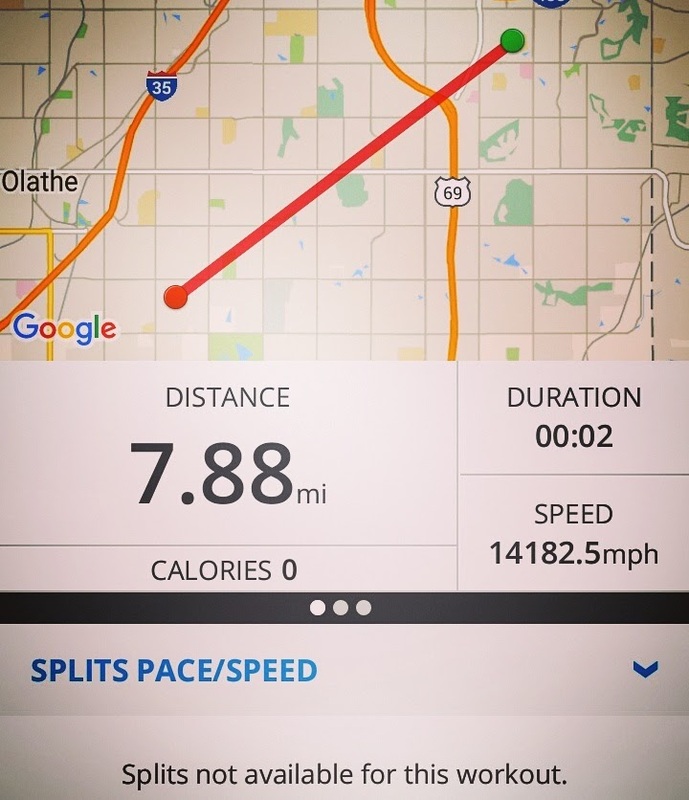 From the first of May to the end of September, I logged nearly 4,000 miles in commutes and other rides, missing a few scattered days here and there, and successfully captured "#1" for Olathe, KS., USA... out of a whopping 12 riders, yeah... but, still. Whoo-hoo! I must say, a certain #2 competitor certainly gave me a bit of panic here and there during August and September - it was close, but, therein lay the advantage of occasionally jumping into a competition such as this. It pushed me to ride more and farther than I otherwise would have, and combined with the Strava-based segments and pushing my own, personal envelope, I have had a pretty productive cycling fitness year - probably my best in a decade. Part of my successful National Bike Challenge campaign had a lot to do with randonneuring, too. Daily commutes and quick rides around the neighborhood to gather daily points aside, it was really my monthly 200km excursions that racked up the tally. Having started last November on a particularly windy day with Terry B. from St. Joseph, MO., I've also successfully managed to finally get R-12 #5, just last month. So, all in all, yeah -- I'm pretty darned happy with 2017, all told. Strangely, however, I find myself back in 2008 or 2009 with regards to the monthly ride becoming a bit predictable - at least from a scenery perspective. Weirdly, it was the fender's fault. Yeah, well -- proving the value of the SKS fenders that I purchased nearly 12 years ago (geez, really? 2004?! Yeah, I checked. ), they finally bit the big one... partially, on a gravel detour back in January. Yeah, I was riding gravel on the road bike again... so what? LOL. While the issue was quickly fixed with some zip ties, it did afford me the chance to realize that I had a LOT of zip-ties, electrical tape, duct tape and holes in those old fenders - so, I took the opportunity to upgrade to some nice fenders from Velo-Orange. I'd made some modifications to the SKS front fenders, however, to allow the bike to fit on a traditional fork-down roof rack tray ... and the VO fenders, well... they're longer. Much longer. This, for practical purposes, is terrific. They maintain a longer wrap around the circumference of the wheels, and therefore manage to block a substantially greater amount of spray. Not really keen to ruin what these new fenders are quite good at just to make it easier to put on the car, well, I haven't really had a good way to get the bike to and from remote ride locations. Yeah, I need a fully-upright roof rack tray ($$), or a trunk-mounted rack ($)... or, ideally, a hitch mounted rack ($$$)... or, I could just HTFU and ride to the start locations of remote rides, right? Yeah... in the heat of the moment with my schedule, the latter doesn't often work out - so, I generally don't. Maybe I should. This is a ridiculous tangent... but, all told, I ended up riding the same old route (the Border Patrol) over-and-over this last run. For the NEXT R-12, I really do hope to introduce a bit more variety into my monthly excursions, for sure. Blame the fenders. You can take the dude off the bike, but you can't take the dude off... what? So, YEAH! R-12 Number Five! Feeling good... proof that you're never too busy to completely overwhelm yourself. Seriously, I'm pretty certain that if I hadn't maintained some sort of streak over this time period of returning to school, I would have gone properly off the deep end. Cycling burns off the crazy. We need it. 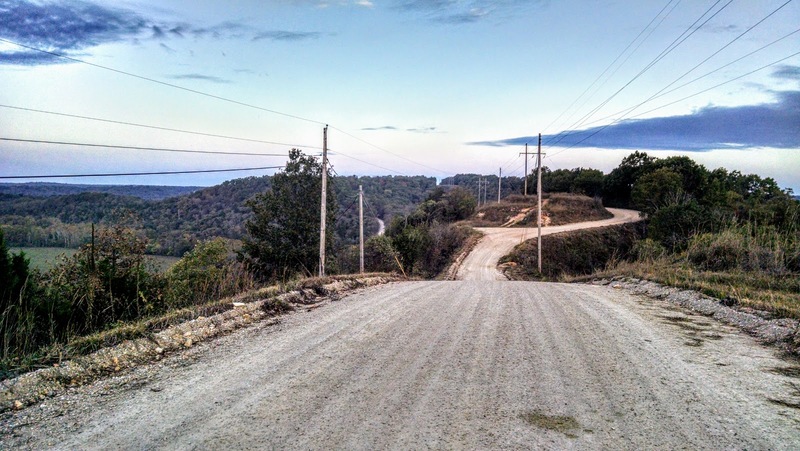 Speaking of crazy, I must mention: some of the BEST riding I had this year involved a complete DNF on a 200km RUSA Dart ride out of Camdenton, MO. Since a couple folks are in the process of submitting ride reports to RUSA on this particular ride, I will not spoil the drama here, but will only mention that it's pretty hilly out there. Like, OMG... and especially so when the pavement ends. Yeah. More underbiking - with nearly 130 miles scheduled and only 30 of it on gravel, it was a bit difficult to justify taking the gravel bike out; but, there were parts where I'd wished I had. Particularly telling is the first photograph, below. 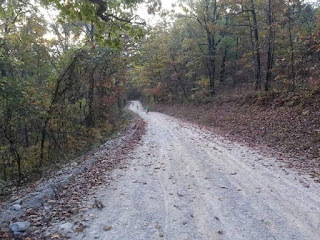 This is Tunnel Dam road, high above the Niangua River. Pretty cool. To our left, a massive dropoff down to river level. To our right, the Tunnel Dam powerplant - and this, little more than a service road, is our passage through the area. The interesting bit involves the elevation changes in the next couple of miles. Looking at the photo, notice the two utility poles to the left of the road, and immediately to the right of the second utility pole is a small arc of roadway. Gradients of 28% in segments, and an average gradient of 11% for the next 20-some miles -- all on loose, marble-like gravel, on 28c road tires: the numbers only provide a vague sense of what we endured. It was epic good fun, and a bit frightening at times, too. Gnarly switchback gravel descents, climbs that looked like sheer walls, and very little traction .. and, for some reason, nothing but smiles after the heartrate and breathing settled down. It's probably the best ride I've ever taken part in, even if it didn't "count." What was to be my 12th consecutive month for R-12 ended up being an epic DNF, and so, a week later I ventured out on the Border Patrol route again in cold and windy conditions to grab #12. Worth it. Considering how much the typical camera tends to flatten images and seemingly lessen the variations in terrain, this photo is still surprisingly lumpy. At times it seemed impossibly steep, and there was indeed some walking - up AND down - the hills. We only saw two cars in this section of road - and the lack of traffic meant the gravel was largely unpacked and quite loose. The bar has been sufficiently raised - the hills on the Border Patrol route a week later were practically a non-event. Steven W., perhaps a touch crazier than the rest of us, tackling another in an endless string of choppy, loose gravel climbs on his 650B fixed gear. Spencer K., an hour behind us on team #2, also rode this monster route on a fixed gear. Another great shot, looking back down one of the hills; I believe Gary D. snapped this one - the scenery is breathtaking. So were the climbs. In 230-or-so kilometers (130ish miles), one participant recorded over 11,000 ft. of climbing. That's a lot, especially considering the steepest of it was on unpaved roads. The paved sections were no less hilly. By comparison, though the RUSA webpage doesn't make it easy to categorize rides by the amount of climbing they contain, but a quick web-search reveals one ride in the Sierra Nevada mountains boasting 15,000 ft. of climbing; but, on paved 6% average gradient mountain pass roads. Now, maybe I'm biased, but as certainly as 200km rides go, this one could rank up there as one of the toughest in the country. Likely there is someone in Vermont, New Hampshire, Pennsylvania, Colorado, Idaho, Alaska that can claim otherwise ... but, man, this one was a brute. I can't wait to try it again and make it count. I also don't think a single ride has inspired so much post-ride analysis and discussion, at least not in our circles. I have, mentally, spent thousands of dollars in upgrades trying to beat this route. Better brakes, better tires, different gearing; all of which require a different frameset... these are the rides, the one's that really push the envelope, that we remember and make us rethink everything. It should be noted, of course, that the only thing I'm really going to change is ME. For now, I'm wrapping up this post and switching back to homework mode, leaf-raking mode (hey, upper body training! ), and long-sleeved riding. November is half over... ugh... so, I'm also eyeing the calendar and looking for ways to work in the next 200k. All in a day's work, eh? I sincerely hope to knock out more than eight posts in 2018... heck, maybe I'll yet break ten posts for 2017! One per month, just like the long rides, is probably a reasonable goal - but, priorities remain in place. We're still here, still out there, and that - for now - is good enough.